When you want cool Christmas gifts to give this year, you’ve come to the right place. This is an exhaustive list of what’s popular right now, so you’ll be the gift-giving champ yet again. Take a trip down memory lane with this mini cotton candy maker. It makes cotton candy just like the kind you remember getting at the fair or circus, from the comfort of home. Break it out for special occasions and parties. This desktop jellyfish tank is something that you won’t tire of for a long time. Watching the jellyfish inside is mesmerizing, and taking care of jellyfish is relatively easy. Goes well with a fish tank for full ocean effect. Give the gift of pizza cones this year and everyone will be happy. It’s a portable way to eat pizza, with the crust acting as the cone, and all the ooey gooey toppings held inside. You’ll never go back to flat pizza after this! When they wear the Pebble smartwatch they have all of the information they need right in the most convenient location. It’s the hands free way to get texts, check in on the weather, and perform basic tasks without using the phone. These laser tag guns work with your smartphone so they’re actually pretty high tech, even though they might look like an ordinary plastic gun. Sync up multiple players and you can literally have a blast playing laser tag at home. Impactful, inspiring and one of the most thoughtful gifts for young girls. This umbrella goes above and beyond the call of duty by looking like a samurai sword because of its handle. The rest of the umbrella functions as normal, but the handle looks like a classic style Japanese samurai sword. You’ve never seen a pool table like this before. It makes a regular game of pool something really special because as you play the table reacts to the shots you take. It looks like the table is made of liquid, and each shot moves things around. GPS devices are great, but they can become a driving hazard because they make you take your eyes off the road repeatedly. This projector fixes that problem, putting the necessary turns and info right where you need them on the windshield. Here’s a great way to keep kids and intruders out of your office, closet, or other private space. It’s a hidden room bookcase, like the kind seen in mystery movies and Scooby Doo reruns. Slide the bookcase and enter the room easily. Kids will feel a lot more comfortable sleeping on their own when they’re able to take one of these portable nightlight balls with them. They can use it to see their way to the bathroom at night, or just hold onto them as they drift off to sleep. If they’re fans of The Far Side by Gary Larson they’ll love to receive this complete set of his works. During its time it was regarded as one of the most zany and clever comic strips going, and there’s really nothing quite like it even today. Go all out and give them this Optimus Prime statue that looks like it was pulled right from the film set. Instead, it is made up of used auto parts that are not able to work anymore, so you’re taking items that would be in a junkyard and getting a work of art. Take your barbecuing indoors with this smokeless barbecue system. It gets rid of the number one problem of using indoor grills, all the smoke they create. Never set off your fire alarm again when you grill a burger indoors. Add even more complexity to your chess matches by introducing a third player to the game. It uses the same rules as regular chess, but has a circular game board and you have to think in a 360 degree way, and outsmart two people to win. Fans of the Mario Kart franchise will love taking Mario for a spin in his very own RC kart. He looks like he was pulled right from the video game, and as he races around you can reenact moves and racetracks from the game. For those that like to keep the crunch in their cereal, here’s the bowl to get. It separates the milk from the cereal, so all you have to do is dunk the cereal into the milk right before you eat it. You’ll get all of the flavor with none of the sog. Running on a treadmill might be boring after awhile, but here’s a device that is sure to keep you mentally engaged in your workout. It provides an endless supply of climbing grips, and your job is to keep up! Never wrestle with an ice cream container again when you get this scoop and stack ice cream scoop. It plunges right into the ice cream and comes out with a perfect scoop cube, which can stack on each other for perfect cones. This light is sure to be a hit with any astronomy fan, or anyone that has ever gazed at the moon. It provides plenty of light and is a very detailed depiction of the actual moon, so it looks great with the light off as well. Blow them away when you serve up the next ice cream session in these cookie bowls. The mold makes it easy to drape cookie dough over, and out comes perfectly formed bowls that they can eat with their ice cream. Foosball tables tend to take up a lot of room, but you can combine it with a coffee table and save yourself some space. It makes it more comfortable to play, since you can sit to get to its level, so the fun can go for hours. Reject the dark side and embrace your Jedi nature with this bathrobe. It looks just like the one that Obi Wan Kenobi wore in the original movies, and will put you in the right frame of mind when you get out of the shower. Wake up to the sun, even when it’s raining or dark with this sunrise alarm clock. Forget about a noisy alarm that jolts you mercilessly from your slumber. Having a natural glow in the room will allow you to awake calm and peacefully. Mix cocktails with ease with this electric tornado cocktail mixer. It provides enough power to really get the drink swirling, and gives a bit of showmanship to your drink making skills. The best for at home bartenders. This narwhal plus is part of the Squishable collection, and is a lot of fun to snuggle. If you know a fan of narwhals you can’t go wrong with this gift, as they’ll love holding it and snuggling it for hours. It’s just too cute! One of the hottest toys this year is the MiP personal robot. He has a myriad of tricks and features to him, and can perform many tasks. It may not be a robot butler, but this year it’s the closest thing we have. Start drawing, and when you want to draw up, just draw up. This is a pen that lets you break the barrier of two dimensions and draw into the air. It emits a melted plastic that quickly cools and leaves a trail in the air where you’ve been. Have a ton of fun in your outdoor pool with this underwater light maker. It floats in the pool and sends different colored lights all over, giving it a really fun look, and making it the perfect accessory for parties and events. If you’ve got a Game of Thrones fan in the house, get them this language course that teaches them the complex nuances of Dothraki. They’ll be able to talk just like the characters on the show, but you won’t have a clue what they’re saying. Make your own planetarium right in your home with the Star Theater Pro. It comes loaded with all of the constellations and other nighttime viewing wonders of our cosmos so you can put on quite the show for everyone. There’s a Monopoly board for just about everything, and now there’s ones for the zombie lover. The Walking Dead Monopoly game follows the same rules as the original, but is loaded with Walking Dead references and themes. Here’s just the right decanter for that special bourbon you’ve been saving. It looks like a ship in a bottle, so when it’s not in use it’s a decorative piece. It is lead-free, so you have no worries about contaminants making it into your glass. Go retro with this classically styled popcorn maker. It’s just like the ones they used to have but just don’t make anymore now that microwave popcorn is so popular. With the dangers of microwave popcorn this is a safer bet. Finally the new iPhone is here and it’s loaded with new features. If you go with the Plus model you’ll be getting a much bigger screen than any iPhone predecessor, perfect for movies, games, and Internet. If you want something that fits in the hand better, go with the regular size. This bike is specifically designed to be carried up steep hills, and ridden down those same hills. It folds up so that you can strap it to your back, and it’s light enough so that you won’t tire quickly from lugging it around. This is the latest from FitBit, and is designed to track your activity throughout the day, and your quality of sleep at night. It comes with a silent alarm so you can wake up without disturbing your partner and start racking up the steps and exercise. There’s not much cooler than drinking a beer out of a big old glass boot. That’s the idea behind the Das Boot beer glass, a mammoth sized drinking vessel that is sure to hold just as much beer as you can handle. You don’t need to go out for soft serve ice cream anymore when you’ve got one of these bad boys in your kitchen. It produces delicious, creamy soft serve just like you want on a hot summer’s day, and you can make as much as you want! Bear Grylls lends his expertise to this survival kit, equipping it with everything you need should you find yourself alone and out in the woods. A great gift for hunters, hikers, and anyone else that may end up in a survival situation. This mount helps turn an iPhone into an SLR camera so you can take professional grade shots without having to invest a ton of money in an expensive camera. It features the ability to zoom and make manual adjustments for the perfect shot. Make their morning extra special by serving up their usual eggs in an unusual way. The yolk is the sun and the whites are the cloud, so these really do get you to look at the sunny side of life. A great start to their day! You don’t have to be Batman to feel like a superhero, especially when you’ve got this money clip. It looks like one of his batarangs from the Christopher Nolan reboot, and folds over onto your cash stash. The next time it’s grill night you can have a batch of meatballs, thanks to this nonstick meatball basket. It grills up the meatballs so they taste amazing, and makes it so they won’t go rolling all around the grill making a mess. Bill Murray has had many roles in his illustrious career, and pretty much anyone that loves his movies will love this coloring book. It goes through some of his different characters, and allows you to color them in. Any fan of beer will also be a fan of a Mr. Beer Brewing Kit. That’s because you don’t have to be a home brew aficionado in order to make your first batch of beer. And of course, the best part is drinking your creation. Only the coolest ninjas get to hang their coats in style with these ninja coat hangers. You simply secure them to the wall, and then hang your coat on them. When your coat is not on them they look like ninja stars stuck in a wall. Kids and adults go nuts over corn dogs, and this corn dog maker makes them hot and fresh so you won’t have to subject yourself to reheating frozen corn dogs. Once you try a homemade one, you’ll never go back to the old way. This is Google’s answer to the iPhone 6, and features a giant 6 inch screen and Lollipop, the latest version of Android, packed with new features and abilities. For Android users this is one of the top phones you can get. When you want to have a water balloon fight, you can make sure everyone has enough balloons by getting this contraption. It fills and ties 100 water balloons quicker than you can say duck. Now you can focus on the fun, and avoiding getting hit. The Coolest cooler is finally going to get made, and you won’t want to miss it. It comes with everything you could ever want in a cooler, including speakers and a blender on top for mixing up drinks at the beach or park. You can deploy your own drone with this quadcopter equipped with its own camera. Take surveillance shots, spy on what your neighbors are doing, or just take a tour of your own house to see that all is well. Fitness buffs know that there’s really no good way to hold onto your ID and other small items when you’re working out. This fitness belt hopes to solve the problem without being labeled as a fanny pack, and while still maintaining the cool label. This is the latest from the folks at Amazon, the team responsible for spearheading the popularity of ebooks and ereaders. It features the sharpest screen they’ve come out with to date, making your reading even more enjoyable. Fly down a snow bank in this snow cycle for a new level of fun and excitement. When skiing and snowboarding have gotten boring, and you are looking for a new thrill, the snow cycle is just the thing to give you a fun time this winter. This is chess gone vertical. The same rules apply of course, but it takes on a new dimension by going up the wall rather than sitting horizontally. Play over time with a friend with a Last Move icon that cues you in to what they did. These bookends make it look like a stickman is going through a portal that takes him from one of your books to the other in an instant. Half of his body is on the left, with the other half poking out of the right in a funny pose. Don’t let your smartphone incur any more damage. Life happens, so be sure to get a Lifeproof phone case so that you can drop it, get it wet, get it dirty, and more and the phone will not suffer from the abuse. These sport shoes are great for the adventurer that is always looking to get the edge. By covering each of the toes, it fits more like a glove than a mitten, and it is more like running barefoot than using regular running shoes. Turn your baby into a Jedi master with this Yoda beanie. It features the color of Yoda and his very distinctive ears. Since babies are already the right size, they’ll have no trouble getting into character. Perfect for the future Star Wars fan. Take that bean bag chair to the next level with this bean bag lounger filled with microbeads instead of beans. It’s far more comfortable this way, and the sheer size of it means more than one family member can relax on it at once. Put a fire wherever you want one with this Anywhere Fireplace. You’re no longer confined to a built-in fire, and you don’t have to worry about burning your house down either thanks to its safety features. Warm up this winter with a fire! There’s no point in playing with action figures that just don’t look the part when you can play with these ultra realistic action figures. There are all types of famous stars here, with plenty of sports figures like Michael Jordan. 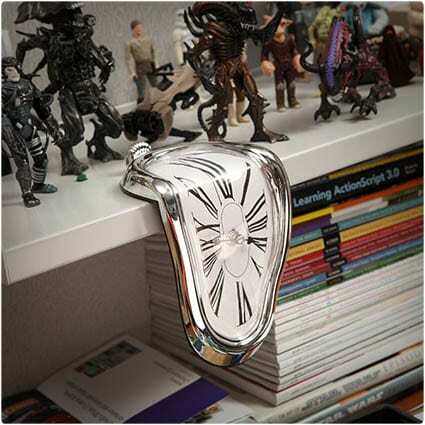 Your place will look like a Salvador Dali painting come to life when you have this melting clock. It actually does tell time, and it looks great because of its design. It’s a great gift for the art lover, and they’ll be sure to get a kick out of it whenever they see it. When you’re taking your water bottle with you on a walk, it would be nice if there was a place for your ID and maybe a few bucks. That’s what they were thinking when they made this water bottler equipped with a storage compartment. Have a ton of fun with all of your friends on this giant inflatable party cruiser. It has everything you’d want to float down a river or just to float around a lake, including a cooler for the must-have beverages that make any party better. If you’re the noncommittal type you’ll love the temporary nature of this programmable tattoo system. You can tat yourself up and not worry if you don’t like the results because they’ll be gone after a while. This key is custom made, and works like a switchblade, folding into itself when not in use, and popping out in a flash when you need it. The nice part is you’ll no longer jab yourself with a key in your pocket, it will be tucked away. Play a game of BasketPong instead of Beer Pong. It has similar rules, but the game has gone vertical, and requires a bit more skill. Great for those that have mastered regular beer pong and are looking for a new challenge. These wine glasses aerate the wine as you pour, giving you a better tasting glass of wine, and making the experience more enjoyable as you stir and sip. For wine lovers this is a pretty safe bet as a gift. Now you can have a snow cone whenever you want with this snow cone machine. Snow cones are usually such a novelty, and are only available once in awhile. No more having to be a snow cone opportunist, just make your own! This R2-D2 loves to interact with his users, and he has tons of different things he can do. If you remember from the movies just how helpful and cute R2 is, you’ll get an idea of some of the things he’s been programmed to do. Load your TV with a ton of media thanks to the Amazon Fire TV device. It lets you watch movies, TV shows, and play music found in the vast Amazon library. Prime members can enjoy tons of free content, and everyone can buy premium content too. 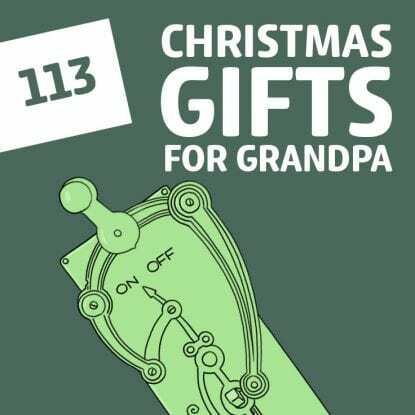 This gift plays both sides, attracting Lego fans and Ghostbusters fans, whose streams often cross as it is. This is a very detailed set and comes with each of the ghostbusters, as well as their refurbished hearse, the Ecto-1. This is like Jenga on a whole new scale. The game stands taller than 5 feet, so it is easier to decide on which block to pull out, and a lot more exciting when it finally comes toppling down when the losing block is removed. This is one way to make people think you’re loaded, even if you’re not. It looks like you use a gold bar as a door stop. It’s not a real gold bar, but it definitely gets the job done of keep the door open for you. Put your iPad wherever you want it, rather than contorting into an awkward position just to hold it up. This makes a great tool for sitting in bed, on the sofa, or anywhere else where it becomes uncomfortable to prop up your iPad. This talking plush Ted is like he was pulled right from the movie, complete with the voice of Seth MacFarlane, and quotes that fans of the movie are sure to enjoy. The movie was such a hit there’s a sequel in the works set for summer 2015. You don’t have to wait around for the 4th of July or New Years to see some fireworks. And you don’t have to succumb to lousy weather either. Have a fireworks display whenever you want, like birthdays and anniversaries, indoors! For players of the game Scrabble you will hit the mark with these Scrabble tile pillows. You can get different letters to spell out what you want and make it a very personal gift that they’re sure to thank you for again and again. The Simpsons are on a mission to put their image on just about everything, and now there’s a Homer Simpson skateboard. It’s sure to get a lot of looks at the skate park, with its yellow color and very recognizable face. This bookshelf gives the illusion that the books are floating on the wall. But no worries, they’re nice and secure thanks to its clever design. For the book fans out there, you will come out a winner with this gift. With this Bubble Copter you can spread the fun of bubbles all over the place, without having to move. It can entertain young kids and pets at the same time, and when the bubbles run out it’s still a fun copter to pilot around. They finally figured out how to make a candle last for 144 hours. It winds around itself again and again, and whether you want to have it for daily use, or in the event of a survival situation, it’s going to provide light for days and days. What to do when you have your drink in one hand, and your plate in the other? How do you eat and stand at the same time? The answer is in these party plates, which straddle a cup or bottle and free up one of your hands to eat with. Every month they’ll receive a new pair of underwear so they’ve always got a fresh supply. There’s just no price you can put on having clean underwear, and the kind you get from MeUndies is top quality. This stove uses the heating power of the sun to cook food to perfection. You won’t have to use charcoal or gas, so it’s a green way to cook as well. It uses mirrors to focus and double up the power of the sun’s rays to cook food quick. This is a very handy iPhone case, and one that could help you out of a jam, or help you get a weekend project done. It has screwdrivers, knives, and pliers, all while taking up little room and still fitting nicely in your hand and pocket. This coffee machine is basically the size of your hand, which is why they call it the Handpresso. You can make a great tasting espresso without the need of a big bulky and expensive espresso maker cluttering up your counter space. Never be without the juice you need with this external battery charger. It supplies enough energy to keep your devices going after they’ve run dry, and is nice to have when you don’t have the ability to charge them up normally. Take your tunes with you into the shower and finally be able to get some back up singers when and where they’re needed. It is water resistant, so you can use it in the shower or by the sink without worrying about doing any damage. Make quick work out of that pork, chicken, or beef, with these Magic Claws. If you want a pulled pork sandwich, or a pulled chicken sandwich, or you want shredded beef, they handle all of that with ease. Great gift for cooks, chefs, and foodies. One of the hottest items this year will be anything Frozen related, as this is the first Christmas since the release of the film. Olaf was a fan favorite, and the comic relief of the movie, so fans of the movie are generally fans of Olaf. Use your smartphone to project the TV show or movie that you’re watching, and settle in for a theater style movie night. It has a classic look to it, but since it isn’t using any film you won’t have to worry about the picture quality. These acoustic filters filter out what you don’t want to hear, but let through what you do want to hear. That makes them a great choice for concerts, airplanes, and any other time when you want to block out the noise and static of the outside world. With this monitor you’ll be able to quickly see the indoor temperature as well as the humidity. It even tells you if the humidity level is optimal for indoor comfort, so you can adjust it with a humidifier or dehumidifier as needed. Get the party started with this fruit keg tapping kit that lets you turn an unsuspecting watermelon into the perfect drink dispenser. It’s just the ticket for fruit flavored drinks, as it will add even more flavor to them and keep them cool. Take breakfast on the go with this breakfast sandwich maker, which makes all of the separate parts of a breakfast sandwich at the same time so you don’t have to have a lot of things going on all at once. Delicious and nutritious and better than fast food. This Lego tray is perfect for the Lego lover in your life. It gives them the proper workspace to make a Lego creation, and insures that if they need to move their project they can do so quickly and easily and without a major collapse. Everyone loves sock monkeys, and this tutorial walks you through step by step so that you don’t have to worry how they’ll turn out. There is such a thing as a badly designed sock monkey, so get it right with this guide. Give them a gift that will show that you took the time to make them something unique with this customizable gift calendar. You put a picture of them or maybe the two of you or a family photo right into the calendar so they see it throughout the year. These jingle bell elves are sure to get anyone into the Christmas spirit, and they’re so fun and easy to make you can make a bunch of them and give them out as Christmas present add-ons. Make one for each member of the family! There’s one Christmas gift that never goes out of style: liquor. Just be sure that they enjoy a good drink now and then. When you present the gift with this gift tag attached it adds that personal touch rather than just a bottle of booze. This wooden nativity scene is very simple looking, but that just adds to its charm, and when you think about the humble setting that it represents, it’s only apt that it be simple itself. And it’s easy to make so you will have fun with it. This painted scarf looks like something you’d buy in the store, but you get to hand paint it yourself, adding that extra special something that makes a gift totally unique. They’ll love that you took extra time to make this for them. If you know a cat lover you know they go gaga over everything cats, and this photo pouch will be no exception. It features a very cute kitty and is such a handy gift they’re sure to use it all of the time and think of you each time they do. This Christmas tree shelf is perfect for the holiday season, and is a great place to put up Christmas knick knacks. It’s a fun project and when you give it to someone you love you’re letting them know you think they’re special. Here’s a pillow that looks absolutely amazing, and is just right for those that have wavered in the belief department when it comes to Santa. It doesn’t matter how old you are, you can still believe, and that’s what this pillow beckons. When you want a cute gift tag to go with all of the amazing gifts you’ve found on this page, go with this snowman gift tag. It’s simple to make, looks great, and will give your gifts that little extra that shows you really care. There were a lot of cool gifts from here!